Title: Black man stay home! 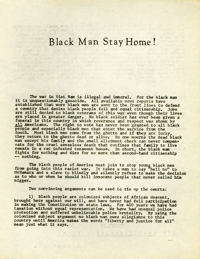 Abstract: Telling why black men shouldn't participate in the Vietnam war. R.s.:cont. 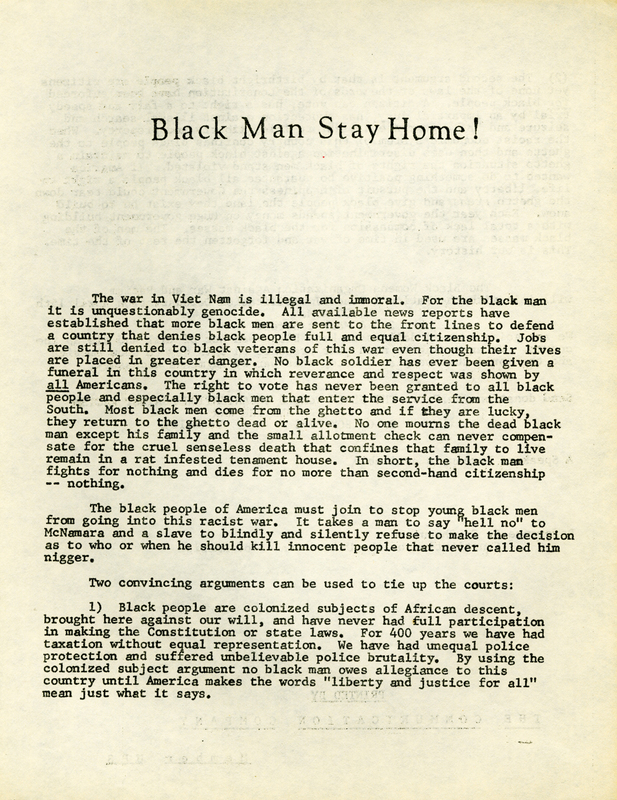 Trans Title: Black Man Stay Home!